You might have heard me complain about the ongoing gamification of, well, everything. But just because I don’t like it, you shouldn’t assume I don’t understand what makes it so appealing to so many people. Which of these statements makes everyday life sound more interesting? I’ll even go so far as to say there’s a place for gamification. But it’s just so easy to overdo it. And there are some achievements that really, really shouldn’t be gamified. Achievement unlocked! You have a screw-up! Kinda sends the wrong message, doesn’t it? I have to admit it’s a fun award to give, though. So I’m officially giving one to Amazon. It appears they have a database glitch. 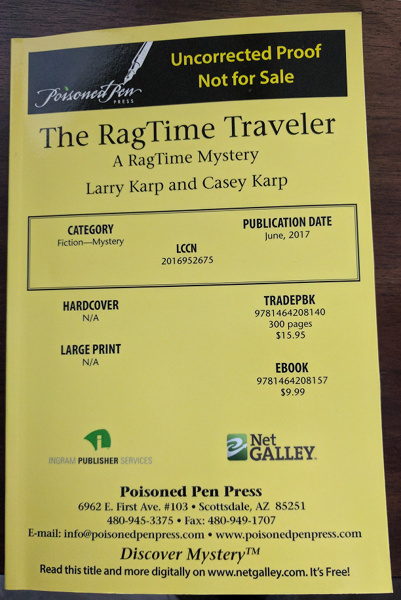 According to their website, The RagTime Traveler was released on Tuesday. I’m told they even sent emails to people who preordered it, letting them know that it was going to come out two months early. Oops. No, TRTT hasn’t shipped. The release date is still June 6. The book was originally scheduled for an April release, and several retailers initially listed it that way. And, honestly, I wouldn’t award Amazon a Screw-up Achievement if they had just gotten the date wrong. But after the initial error–which, again, was not their fault–they corrected the listing; until a couple of weeks ago it had June 6. So not only did they erroneously change the date (which nobody else has done) and send out those emails, but they’ve compounded the failure by putting the blame on the publisher. Instead of changing the date back, the order page now says “Usually ships within 1 to 2 months.” I suppose that’s accurate, but since that’s the same message they use for items that are out of stock, the implication is that it couldn’t possibly be a mistake on Amazon’s part. Aside from the pleasures of playing the “Risk the Wrath of the Retail Rhinoceros” game, there is some good news. Preorders for TRTT ebooks are open. If you’ve been waiting for the electronic edition, now’s your chance. And even Amazon has the correct June 6 date for that release. Now there’s an achievement I’m happy to unlock. Those of you who aren’t familiar with the publishing industry may be surprised to hear that half a year from contract to publication is actually amazingly fast. Even in the modern world where nobody but a few artists set type by hand, it can still take a year or more. Let’s take a look at what’s going on during that time. Even though the author considers the book finished when he submits it to a publisher, “finished” is a flexible term. The editor will find something that needs to be addressed: a plot hole, a question of characterization, a confusing character name. As an author, you hope the issues will be minor, but whether they are or not, you can count on doing at least one rewrite. Once everyone is satisfied with the text, it needs to be typeset, probably multiple times (hardback, paperback, e-book, large print edition, etc.) That’s faster and easier than it was in days of old. When manuscripts were written longhand, type was set by hand, one character at a time. The rise of the typewriter sped the process up, but the typesetter still had to retype the entire manuscript. Today, typesetting software can import the author’s word-processing document, but if you’ve ever tried to open, say, a Word document in Google Docs, you know that no conversion is perfect. There’s still cleanup to be done–more on that later–in addition to the actual work of doing the various layouts. The book needs a cover. Those don’t just magically appear. Nor does the artist just jump in and start working. Somebody–typically the editor or a designer–will need to establish a style and mood. It may need to fit with the publisher’s overall look-and-feel, or a style established by earlier books in the same series. Reviews are critical to a book’s success. I’ve mentioned this before in the context of individual reviews, and it bears repeating: the most important thing you can do to help your favorite authors (after buying their books, naturally) is to get the word of mouth train rolling. Write reviews. Tell your friends, your enemies, and random strangers about the books. Ask your local library to buy copies. Bookstores and libraries often have to decide if they’re going to carry a book long before it’s published. Customer requests are important, but so are professional reviews. Reviewers get Advance Review Copies (ARCs) of the book. These are typeset, but often don’t yet have the cover art, and they haven’t been proofread. Yeah, despite all of those revisions, editorial reviews, and everything else that’s already happened, there are going to be errors*. As I said a couple of paragraphs ago, there’s cleanup to be done. * Software has the same problem. It’s a truism for developers and QA that there’s no such thing as bug-free code. The best you can ever hope for is that you’ll find and fix the important ones before your customers see them. What are the important bugs? That’s a whole different post. So, yes, the author gets to do yet another revision post-ARC. This one is typically limited to finding the bugs–typesetting and printing errors–in the manuscript, as making substantial changes would require redoing significant chunks of the typesetting. Again, that’s easier than it used to be, but it still takes time, and there isn’t much of that left: those typesetting files need to get to the printer if the book is going to get to the stores by the publication date. There’s more. Publicity plans. Art design. Shipping. But most of what I’ve omitted doesn’t have anything to do with the actual production of the book, or happens as part of (and in parallel with) the production. See why I say half a year is fast? Oh, by the way: you know what else is important information for bookstores and libraries in deciding whether to get a book? Pre-orders! 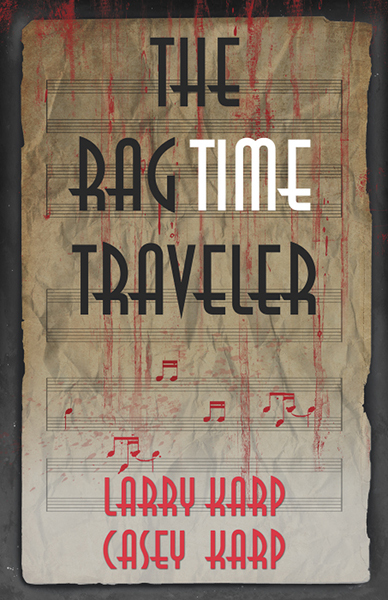 You can pre-order The RagTime Traveler in both paperback and hardback formats right now from Amazon, Barnes and Noble, and Powell’s. Or support a local independent bookstore. Call your local store and ask them to pre-order you a copy. If you’re in a benighted area of the world that lacks a bookstore, Seattle Mystery Bookshop will be happy to serve. There’s a story making the rounds of the publishing community. Brent Underwood explains exactly what an author needs to do to create a best-selling book. Note that I didn’t say “write” a best-selling book. The TL;DR of Brent’s piece is that a trivially-easy manipulation of Amazon’s book categories allows damn near anything to become a bestseller. Don’t take my word for it; go read his confessional exposé. Even worse, there are marketing agencies that use the trick to sell “guaranteed” bestseller status. That’s not surprising, really. This is, after all, a world in which you can buy positive reviews of anything, even the worst examples, for pennies. Category manipulation is the depressingly-logical next step. So why am I griping about this here? I spend so much time on this blog talking about non-literary matters that it’s easy for y’all to forget that I’m trying to get my writing published*. This is largely by design. I’m sure a few of you would be fascinated to follow the ups and downs of the writer’s life in as much detail as I cared to post. The vast majority of you, however, are sensible people, and would quickly get bored with accounts of query letters written, short story submissions, and Twitter-like announcements of how many words I’ve committed to electrons each day. * Yes, I will be doing the annual “State of the Fourth Estate” post in a couple of weeks. After I get done banging my head against the nearest hard surface, I explain that yes, self-publishing is easy. So easy, in fact, that anyone can do it, and most of them have. Usual disclaimer here: I’m not one of those annoying people who think anything self-published is crap. I do, however, subscribe to Sturgeon’s Law. 90% of self-published material is crap. So, to be brutally honest, is 90% of everything. We could argue about the percentage, but IMNSHO, the proportion of self-published writing that’s legitimately worthwhile is no worse than for any other distribution mechanism. The problem with self-publishing is that there’s just flat out so much of it that it’s hard for anyone to get noticed. I mentioned this just a couple of weeks after I started blogging, but nothing has happened in the last three years to change my opinion: to succeed in self-publishing, you need to either be a marketing genius or hire one. Let’s face it: geniuses are no more common in marketing than in any other field. They’re rare. Good, competent marketers are much more common, but scam artists and incompetent louts are more common still–Sturgeon’s Law again. And, as Mr. Underwood’s tale makes clear, those scammers and time-servers love useless “methods” like the instant bestseller that doesn’t actually sell any copies. The result is that so-called promotion of that self-published 90% crap drowns out the real promotion of the other 10%. It also drowns out the promotion of the worthwhile 10% of non-self-published writing. Yes, even with an established publisher, I’d still have to promote my own writing, but I’d have an ally. That’s important to me. I know I’m not a genius marketer, nor do I want to spend all of my time on promotion at the expense of actually writing anything else. Moving on. Non-writing-related cat pictures tomorrow. Beginning next month, Amazon will be rolling out a program called “Amazon Matchbook*”. Put simply, Amazon will let you purchase a discounted ebook of any physical book you’ve bought through Amazon since 1995. Some limitations apply; the main one is that publishers need to sign on. (Amazon promises that at least 10,000 titles will be available when the program begins.) Prices for the discounted ebooks will range from free to $3.00. * What is it with Amazon naming its book-related hardware and programs after things related to burning? “Kindle” and “Kindle Fire”. “Matchbook”. Was Jeff Bezos traumatized by “Farenheit 451” as a child? (I hope Urban Dictionary’s definition of “burning amazon” isn’t relevant here…) Not only does it not make sense in relation to books (which was, as you may recall, where Amazon’s business started), but it shows a great insensitivity to the ongoing destruction of the Amazon rainforest via slash and burn agriculture. What do I think? I think it’s a great idea: anything that reduces the price of ebooks and makes it easier to buy them will reduce piracy (as we’ve seen with music, we’ll never eliminate piracy, but we can cut it back). We’ve seen over and over that cheap or free availability of ebooks actually increases sales of physical books for backlist titles. That’s all good for authors. I’d like to see the publishers take the next step and make this kind of plan common across the industry. Not everyone has–or wants–a Kindle. If I could get a similar plan for ebooks in non-DRMed epub format so I can move them freely among all the devices and programs I use to read ebooks, I’d certainly be willing to pay a couple of bucks a piece. I’m not blind to the potential problems here. If publishers jack up the price of physical books to “cover the cost” of making ebooks available, I’m going to resent it every time I buy a book when I don’t want an ebook edition. (Note to publishers: Raising the price of the physical book and charging a fee for the ebook would be just plain greedy. Don’t do it.) Given that the cost to create the ebook edition is fixed, I would hope that the fee would be the same regardless of the format of the physical edition: I shouldn’t have to pay more (or less!) for the ebook bundled with the paperback edition than with the hardback. Interestingly, it looks like it’s steamship time: a company called BitLit is preparing to launch a discounted ebook service for books purchased anywhere just about the same time that Amazon Matchbook launches. Since they don’t have purchase records, their model requires that you demonstrate your ownership of the book by uploading a picture of your signature on the copyright page. An interesting approach. I see some significant problems with it: can they detect if you’ve signed a slip of paper and laid it on the book? Is there an alternative if you don’t want to write in your book? BitLit’s model would presumably let you purchase the discounted ebook even if you bought the physical book used — though the requirement to sign the book may cause problems: if the model catches on, there are going to be issues when books start showing up with multiple signatures on the copyright page. I suspect that just the possibility of using a used book to get the ebook will scare off more than a few publishers. So in short: there are technical problems and unanswered questions, but on the whole I regard Matchbook, BitLit, and their siblings as steps in the right direction.